Christie is hosting the 10th SIM University advanced educational workshop designed to increase knowledge of projection technology and various visual display requirements for simulation. The SIM University provides a hands-on approach to learning by working through the system design of a helicopter reconnaissance trainer simulator. 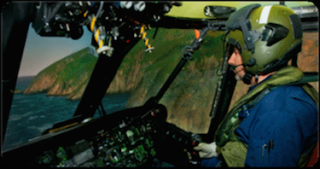 This year’s program features an enhanced new format that will provide participants with a more practical, hands-on approach to learning by working through the system design of a helicopter reconnaissance trainer simulator. The workshop will be held at the Institute for Simulation and Training at the University of Central Florida in Orlando, May 27 – 28. There is no charge to attend, though registration is required. In addition to Christie engineers and technical staff, industry presenters include FlightSafety International, the world’s leading aviation training company; and projection screen specialist Da-Lite. The workshop offers an opportunity for industry users, such as chief engineers, senior software engineers, and visual systems engineers, to hone their specifying skills for visual display system requirements for simulation. The workshop spans the full spectrum from selecting screens and display types to developing display systems configurations, including modifications to enable NVG training and setting up multiple projectors. For more information, contact the SIM University team at simu@christiedigital.com.